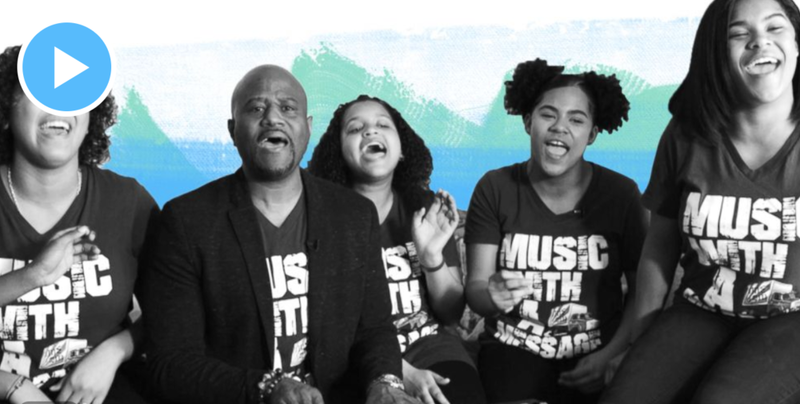 The #DreamBigPrincess global video series empowers the next generation of leaders by spotlighting female trailblazers as they share their stories and advice. 21 talented young women from 13 countries captured the stories of these leaders in digital shorts that will be shared across Disney’s global social media. Roberts was honored with her former GMA colleague weather anchor Sam Champion, who survived basal cell carcinoma. Every year on my birthday, I’m truly touched by the amazing stories of “thrivership” that viewers share with me. 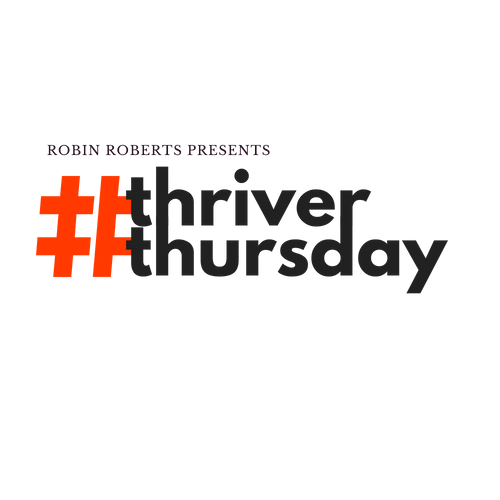 That’s why, this year, I’m introducing a new social initiative called #thriverthursday. Robin was recognized with a BJKLI "Inspiring Leader" award for her dedication to authentic reporting and representation of at-risk communities. The A+E Networks-owned cable network announced its production deal with Roberts and Rock'n Robin Productions for movies and documentaries under the Robin Roberts Presents banner to debut next year. Robin invites Durand Jones & the Indications into her dressing room on #DressingRoomReveal to discuss their new self-titled album and for a performance of two of their songs featured on the soundtrack. Our WebMD series Advanced Breast Cancer: Courage, Comfort and Care with Robin Roberts is now a multi-award winning series, receiving honors from the Telly Awards, CINE Golden Eagle Awards, and Communicator awards. For more info on our series, check out our Programming section. Our podcast, "Everybody's Got Something," has been recognized by the Communicator Awards, taking home wins in both the "General Podcast" and "Host" categories. For more info on our podcast, check out our Programming section. Robin invites rising star Victory Boyd into her dressing room on #DressingRoomReveal for a very intimate and beautiful performance. Good Morning America was awarded the 2017-2018 Daytime Emmy for Outstanding Morning Program for a second year in a row! Congrats to the entire team on-air and behind the scenes for this well deserved honor. It is a privilege to say 'Good Morning' to America every single day! The first episode of Robin's new digital series Dressing Room Reveal debuted with the cast of Broadway's 'Once on This Island.' The cast performs and opens up to Robin in a very informal and intimate setting -- her dressing room! Robin graces the cover of the April 12th edition of The Hollywood Reporter and discusses the rise in student activism harkening back to the 1960s and what stories are the most meaningful and difficult to cover. Watch her interview below. EVERYBODY'S GOT SOMETHING IS NAMED A 2018 WEBBY HONOREE! Our podcast Everybody's Got Something was recognized as an official honoree by the 22nd Annual Webby Awards. Known as the "Internet's Highest Honor," the Webbys are a competitive and coveted award for digital content. Everybody's Got Something was recognized in the Podcast & Digital Audio: Interview/Talk Show category. Earlier this year ABC’s Robin Roberts was presented a Lifetime Achievement Award by the RTDNA. In early April, Robin added the NAB’s highest honor, the Distinguished Service Award, to her mantel.